Take one to three softgels daily with meals, or as directed by a physician. 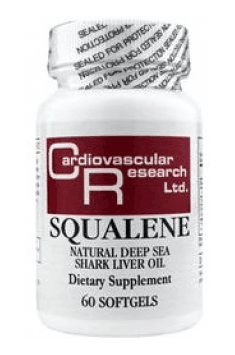 For therapeutic purposes, the recommended daily dosage of shark liver oil is 3g, while prophylactic daily doses oscillate in the amount of 750 mg/day. Studies have shown that the use of higher doses such as 5g/day causes significant stimulation of the immune system, therefore the use of such large doses is recommended as a support for the treatment of viral and bacterial infections, or cancer when it is desired to activate the immune response. If the supplement is used as an adjuvant in the therapy of various diseases and clinical conditions, the use of oil should be consulted with the attending physician. It facilitates the provision of nutrients to muscles; conditions the process of cellular energy production.